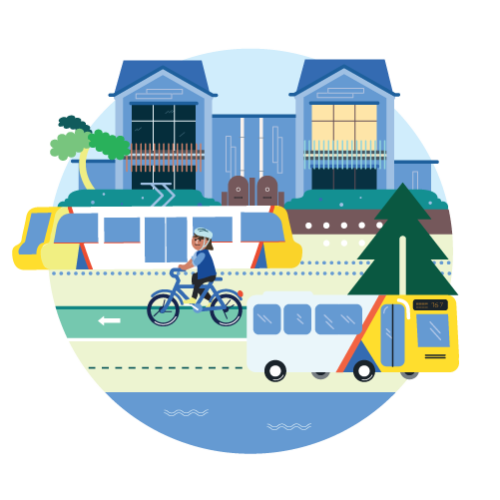 The convenience of living in close proximity to buses, trains and trams can’t be underestimated and the task of developing Adelaide’s public transport system is already well underway. Our challenge for the future is to create a strong residential population to support this transport network. A new tram system is proposed along with service upgrades for a number of train lines and higher frequency buses. More housing and employment around these public transport corridors will be encouraged. Less reliance on cars will also free up our roads, reducing emissions and relieving infrastructure costs. In the CBD, an upgraded transport network will dovetail the city’s reimagined laneways and streets with connected transport links. Trams will loop the CBD and beyond, linking inner city suburbs and pedestrian-friendly streets. A4 Rezone strategic sites to unlock infill growth opportunities that directly support public transport infrastructure investment. A45 Investigate the impact of driver-less cars on our future urban form (in particular car parking requirements) and develop a policy framework to response to this technology.